Women in the United States are often victims of crimes of opportunity and in the past few years there has been an increase in women enrolling in self defense classes. While often the thought process is ‘it’ll never happen to me’, there is a very real need to be prepared for such a situation should it happen. Click here to learn more about the self defense classes offered at Nashville’s KSA Martial Academy. 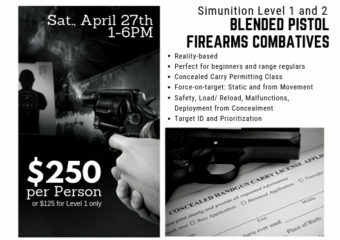 Our team offers self-defense classes as well as ASSERT Empowerment and Self Defense, a program developed with the help of the Department of Justice crime statistics and studies, victim response specialists, mental health professionals, LEO/military special ops trainers, and experts in multiple martial arts. This program is designed to offer solutions to today’s safety and security issues. At KSA, we work to challenge you in a safe environment and offer a wide range of martial arts classes including karate, Tae Kwon Do, Aikido, Jeet Kune Do, and Goju-Shorei Weapons System, as well as self defense classes. Please visit us online or come see us at 4910 Charlotte Avenue in Nashville, TN 37209 to learn more about becoming a member today.